CATHARSIS: I Went on My First Cruise and Made These Mistakes. I Went on My First Cruise and Made These Mistakes. This space has been very quiet for several weeks now. There's a lot of reasons involved but mainly, I became extremely busy preparing for our big summer vacation. Last week, we went on a 6-day, 5-night cruise to the Western Carribean with my mother-in-law, two aunts, and my husband's siblings and their families. Prior to our cruise, we also spent the weekend exploring New Orleans. I'm a first-time cruiser. I did extensive research for a little over a month prior to our sail date just to minimize my unknown variables. (I function best that way). However, as expected in life, you can't control everything and the best you can do is plow through the negatives and learn from them. Perhaps the next time will be closer to perfection, IF there is a next time. Cruise vacations are fun. That's what I kept hearing prior to actually being on one. I tried to focus on that thought because being the anxious person that I am, I knew I needed as many loud positive voices as I could gather in order to drown out my worrier, kill-joy side; the side that only believes that nothing pleasant could come out of putting together thousands of people in a confined space over an ocean, for close to a week. And did I mention that I can't swim, am a germaphobe, and have increasingly become claustrophobic in the past few years? Oh by the way, I'm introverted too and can get quite moody when feeling overwhelmed by crowds and noise. 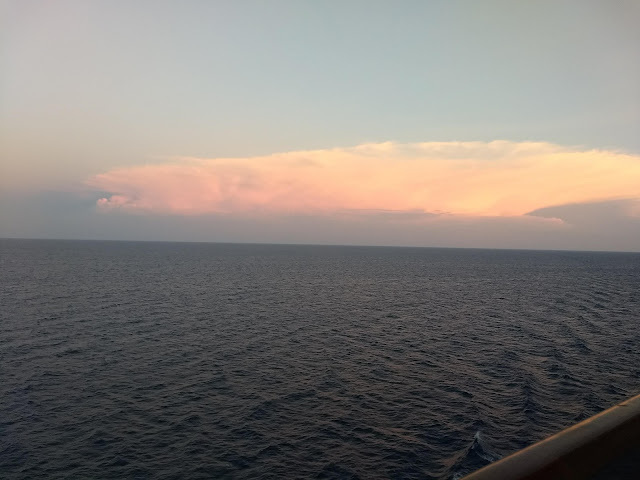 Given that I am not the easiest to please and assume that a number of you reading this are fellow introverts, I'd like to share a few lessons learned from my cruise last week. We were on a Carnival Triumph ship, in case you were wondering. Experts say that you should book a room midship and farther from the engines so that you won't hear the engine noise and feel less of the ship's movement. This is especially important if you are prone to seasickness. (Thankfully, none of us got seasick). Other tips I read said not to book close to the Lido deck or below dance floors so that you won't have much of the noise either. The other thing was to avoid being close to elevators. I'm not sure what happened with our booking but for some reason, the room we ended up with (cabin 8263) was really close to elevators, and worse, was located near the balconies opening up to the Atrium where there's a bar and where various games are played and singers perform. I'm not a party-goer. I like retreating to my room fairly early either to read, watch t.v. or try to sleep. I couldn't do any of that prior to midnight as I could hear every song and scream around the damn ship. It was horrible! The lesson here is book really early and be very specific with your travel agent about your requirements. 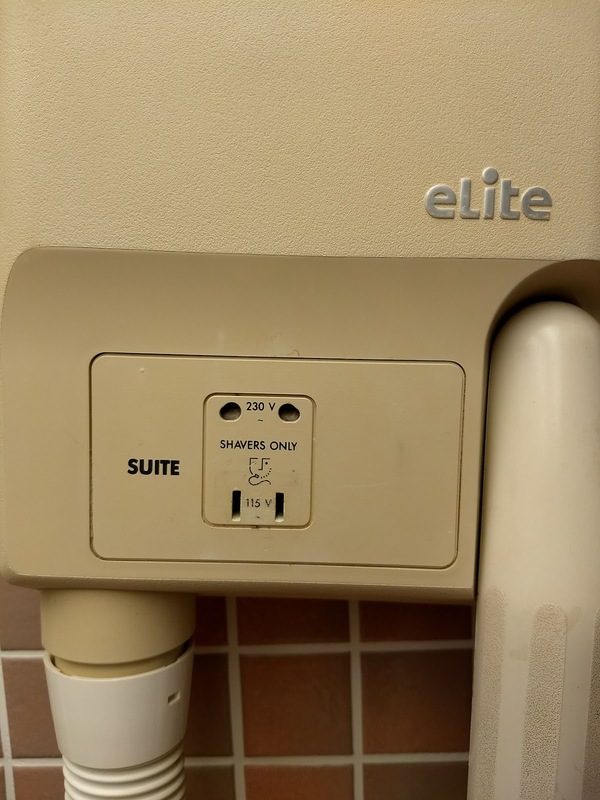 I think our group booked quite late and it was probably difficult to accommodate all our requests given that there were 22 of us and needed to book 8 different rooms. If you're on a short cruise, or if you are a really efficient packer, you'd probably not need to do your laundry. However, you may find that ironing certain outfits might be necessary, especially for formal nights. Make sure you iron your wrinkly clothes prior to the day when formal night is set, or go VERY early during that day. For our cruise, Tuesday was our formal night and by around 4:30 p.m. that day, there were seven people waiting in line for that one sad iron on our deck. All the three washers and dryers were also taken / occupied. 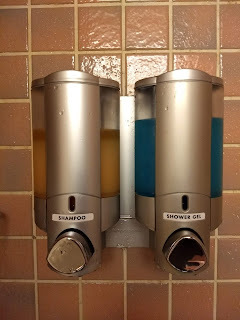 I believe most, if not all, cruise ships have the shampoo/shower gel combo dispensers in their shower stalls. They're okay. It's nothing fancy although I don't think they're the most efficient cleaners either. 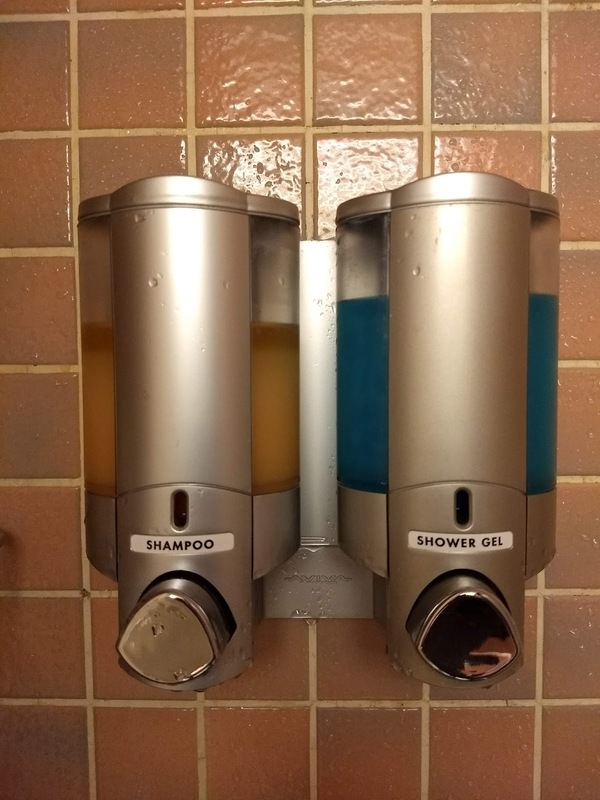 So if you're picky about such things, make sure you bring your own shampoo, soap or body wash, AND don't forget your conditioner if you need that silky, soft feeling for your strands. You won't find them in your cabin. Yes, that was my initial reaction. 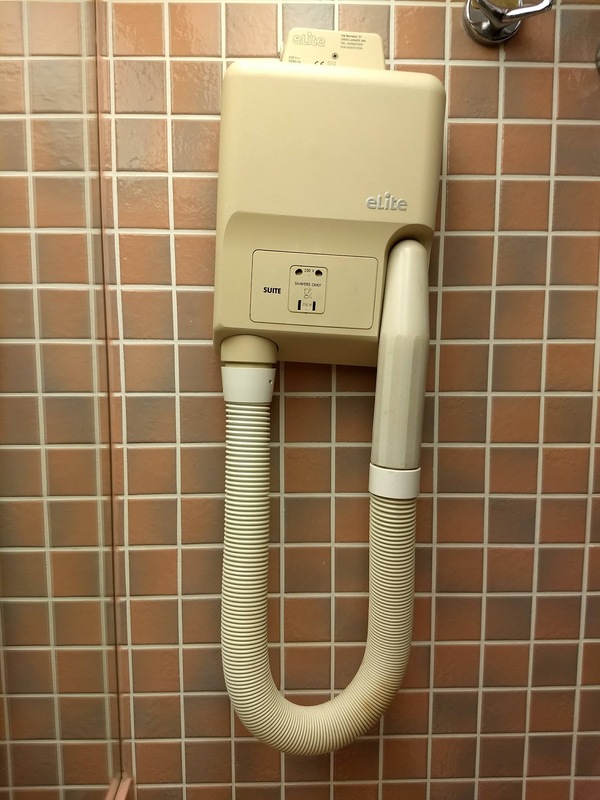 I thought for a moment it was a vacuum cleaner but then it didn't make sense as it was hung on the bathroom wall. Duh! Anyway, the point is that this thing did not work for me. 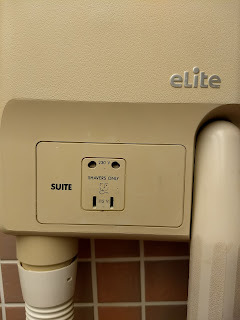 It hardly blew any air until eventually my husband discovered that the one we had in our bathroom had a whole or slit on the tubing, hence the crappy performance. It's a good thing I brought my own hair dryer and didn't have to deal with this contraption. Everyone who's gone on a cruise before kept telling us that we should absolutely take advantage of room service as it was included in our fees. Frankly, the other hot food options on board were far more attractive than the free items on the room service menu so we didn't really find much need to pick up the phone. However, after our Thursday excursion to Progreso, Mexico, we found ourselves too exhausted that we just wanted to chill in our room before our time in the dining room. We then decided to call Room Service and order a couple of sandwiches and desserts. It was quick and easy. Wow! The following night, Friday, and the last day of the cruise, I was feeling a bit under the weather and decided to just stay in the room and skip dinner with our group. I figured this would be the perfect time to take advantage of room service again. For more than 5 minutes, I kept getting a busy tone. After I waited and let 15 minutes pass, I dialed again and was happy the phone rang on the other end. Yesss! Or not really. No one picked up. I gave up and decided to message my husband to ask him to just bring me whatever food he could grab. The most important tip here is that you absolutely need to read your ship's disembarkation/debarkation instructions. 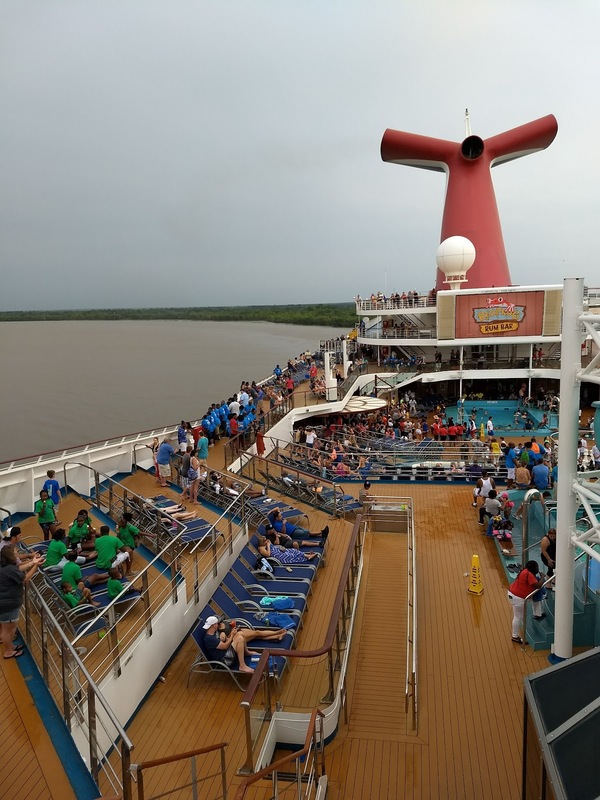 On our ship, passengers were told we could leave suitcases that we wish to be taken out by crew between 9 and 11 p.m. the night prior to debarkation. Our family also chose a later debarkation time since we only drove to port and didn't need to catch any flights out to get back home. You can still eat breakfast on the ship the morning of debarkation and we were given two options: Lido Deck for the buffet breakfast, or one of the dining rooms. We chose the dining room and it was the best decision! There were hardly any passengers there, compared to the crazy lines we would have endured at the Lido Deck. We had our last meal on the ship and it was a relaxed, stress-free experience. We had until 10:30 to exit the ship. We took our time during breakfast at the dining room and by the time we left the ship, it was as close to 10:30 as we could get without panicking. Again, there were no lines as we were probably one of the very last ones to exit. By the time we got to the baggage area, it was easy breezy. We spotted our suitcases quickly and there were no mobs rushing and pushing around us. It was GREAT! There are a lot of Do's and Don'ts when it comes to cruising and I'm sure you can find an abundance of resources, whether articles or videos, that give valuable tips. As for my part, I simply wanted to share how you could learn from my mistakes that might help you on your next (or first) cruise. Some people are serial cruisers. Some people are simply not interested or perhaps got traumatized and would never do it again. I think it's worth experiencing at least once. The price was good. The food was good. Service was amazing and friendly. Would I do it again? Maybe. I'm not sure. I'm definitely not dying to do it again anytime soon, and if I did decide to go on another one, I definitely want to try a different cruise ship or line altogether. I think Carnival is suited for party-goers and people who love people and don't mind the noise. I'm just not built that way. And no matter how beautiful and serene the views can get, I still think my feet are meant for land. 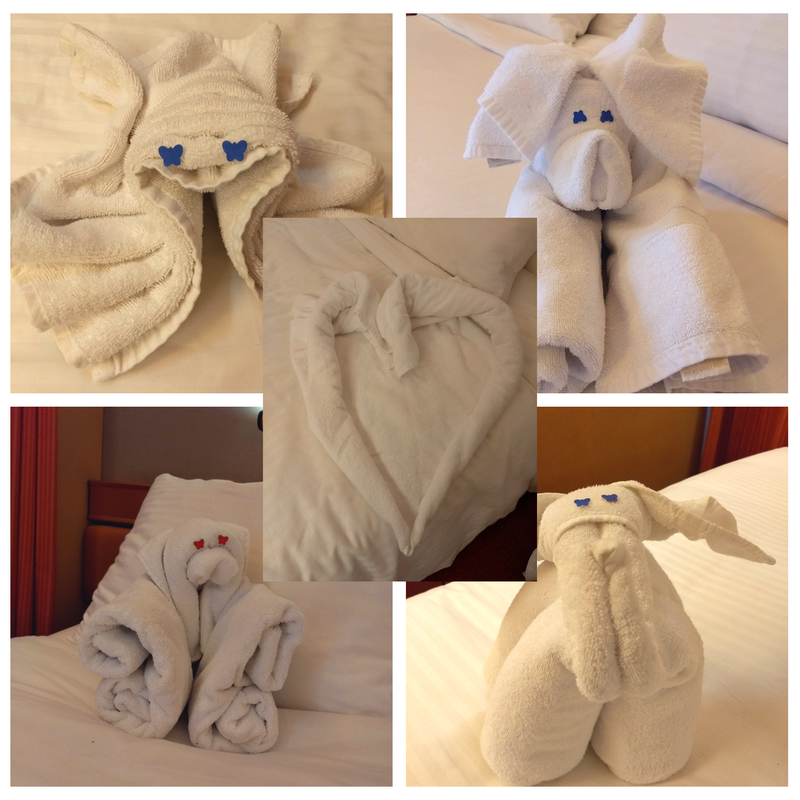 I love cruising and enjoyed the photos you took of the folded towels. Our experiences (we've gone 3 times) have been great. My least favorite was Norwegian, my most favorite Royal Caribbean. It's a great way to see the world and not have to schlep baggage. I hope you go again. Now I'm torn. Some people told me I may enjoy Norwegian more, but I guess RC is another that's been well-reviewed. I definitely have to do my research. Thanks Beth! I've had great cruise experiences and I especially love river cruises because they are much more intimate. I like Holland America, Royal Caribbean, and Cunard. I've heard that Carnival is kind of so so, although they own several higher end lines. Service was impeccable at Carnival, but I guess I should have known that the name is a dead giveaway. It really is quite loud, haha! Thanks Rebecca! I'm still willing to give it a shot cos admittedly, it's pretty cool that it's quite convenient and all the amenities are on board. If you're not a late party-goer and love it, then I should definitely give it another shot, Nikki! Thanks! We've gone on many cruises over the years and Carnival is my least fave. I like Royal Caribbean the most. We've never gone with a group and that may be where your problems sprang from, Joy. Too many cooks...or cruisers spoil the fun, I think. You're independent, like me, and it's hard to be in a tight group. So, if you decide to do it again, try RC.